During this time they have completed a large variety of installations, supplying over 50,000 replacement windows plus refurbishing existing sash windows. Traditional Sash Windows is very much a family business, started by Chairman Paul Kitching, and run by Matthew Lord, Managing Director, and Jamie Kitching, Director, with their close team they are responsible for the growth and day to day running of the business. 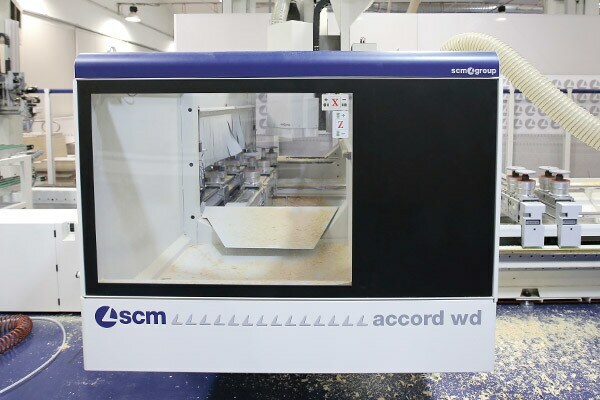 As the business is flourishing and production volumes are increasing, at the beginning of 2014, it was decided to examine the purchase of a CNC Machining Centre with a 5-axis routing head, to machine all window and door components in one location on the CNC’s table. At the Scm showroom in Rimini Paul Kitching found out in detail how the Accord WD machining cell performs: an integrated production system, created through the long standing experience SCM has in the door & window manufacturing, with completely automated loading and unloading system. The Accord WD can be used for production in batches and in single units without ever interrupting the work cycle and always feeding at the maximum speed. 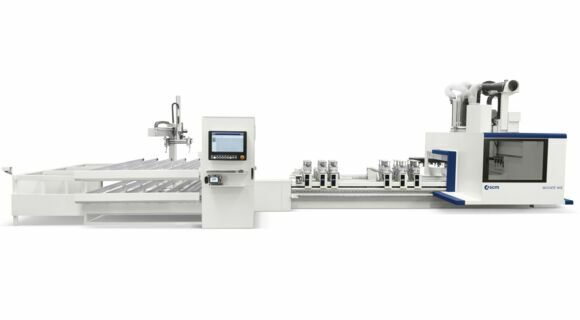 It is easy and fast to use and also with manual loading to produce any type of component and therefore exploit all the potential of an SCM Machining Centre. The automatic component movement system and the worktable management ensure that the continuous presence of the operator is not necessary. The 5-axes machining unit, designed and constructed specifically for demanding jobs, is supported by a rigid mobile gantry-type structure for fast profiling of large section elements. The table / machining area is 6360 x 1905mm. The work cycle is never interrupted, while the machine is machining on one halftable the finished components are unloaded from the other one and new ones loaded. Machining special door and window frames or other types of products is extremely simple as the worktable can easily be accessed for manual loading and unloading. Maestro WD parametric software developed by the SCM Group to design and produce door and window frames on machining centres. It supports the design requirements of the most common types and geometric shapes of door and window frames, both linear and curved.